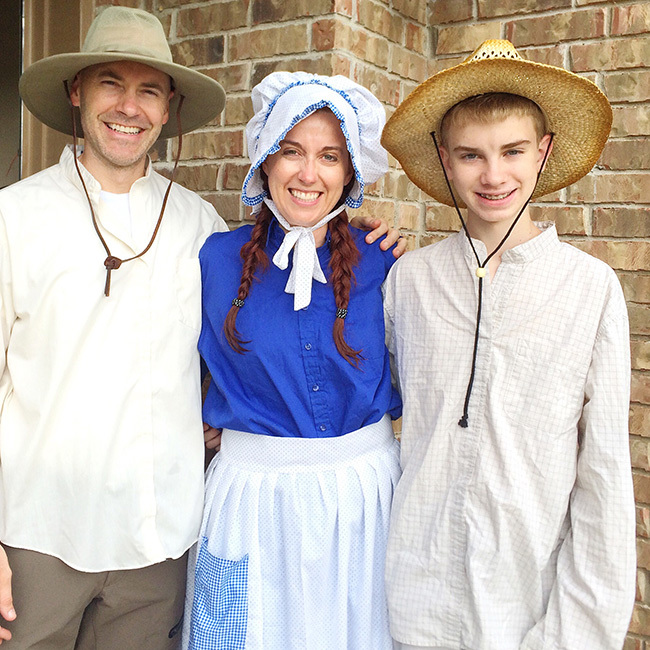 I’m so excited to share all the fun details about the Mormon Pioneer Handcart Trek I participated in last week. Talking to fellow Mormons, they know what it’s all about, because it’s done all over (mostly in the US), and met with excitement to exchange details of the fun/hard adventure. But I had to explain a bit more to friends that are not of my faith, to understand more fully what we would be doing. I’m breaking this up because these will be monster posts anyway, but plan to have them all up by the end of today (crossing fingers). Also, I must note that although I brought along both my SLR and my iphone to take pictures (and took a TON) I grabbed some shots from the Trek photographers Victoria Anne Photography and The Leauanae’s. 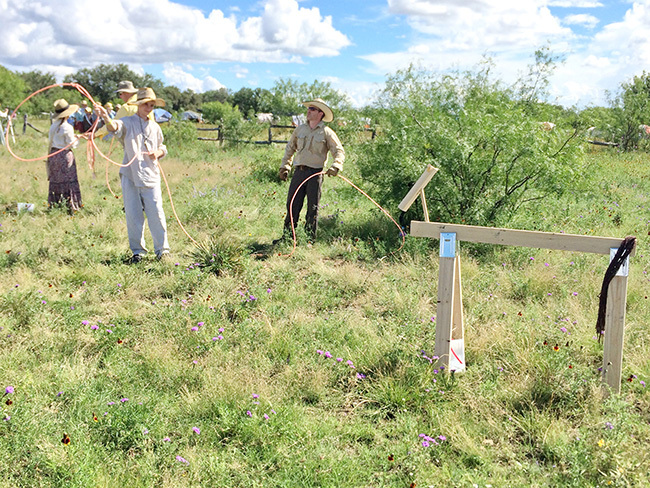 Most of us in the states know all about pioneers traveling across the country “back in the day” developing open land. 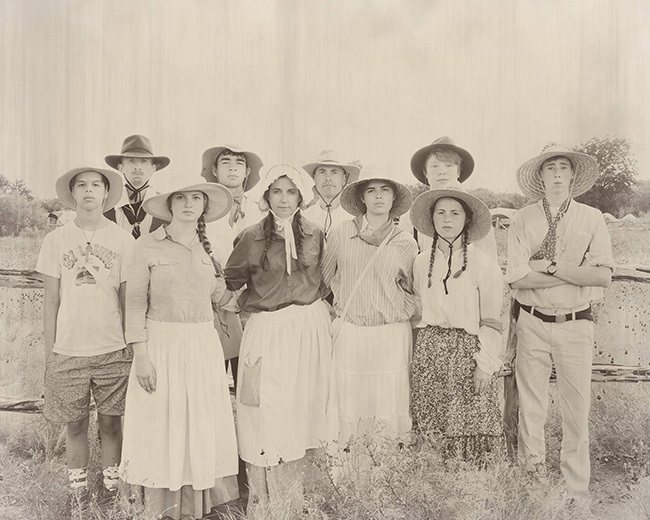 In our faith, the Mormon pioneers were seeking religious freedom, as they experienced severe persecution in the east, and “trekked” west in wagon companies. Those that couldn’t afford cattle to pull a wagon had handcarts, that they would push and pull themselves. 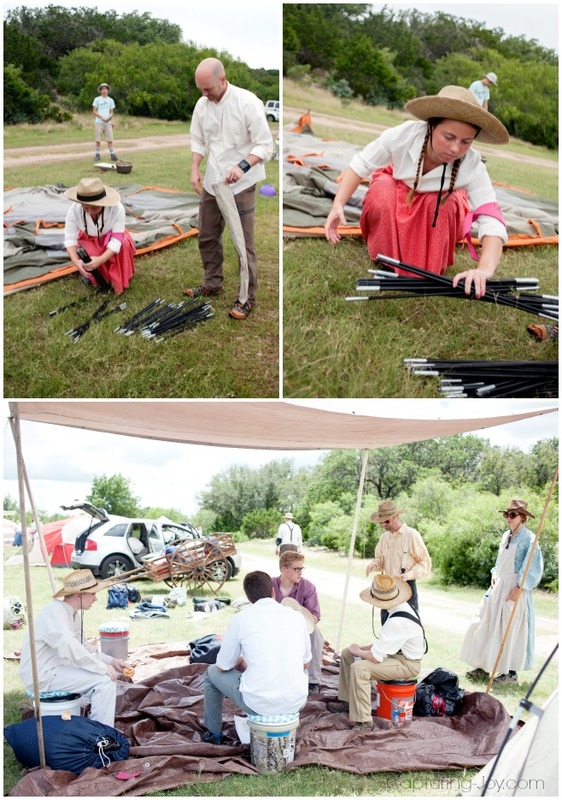 In order to more fully immerse ourselves in understanding what our ancestors suffered, months and months of planning goes into this 4 day camping re-enactment. Of course we still have our modern conveniences of our coolers, ice chests, running shoes, sunglasses, and so much more, we tried to put ourselves in their places as much as possible. To remember how they suffered so much for their faith, but still experienced joy in the journey. It’s actually just meant for the youth (14-18) with adults volunteering in various capacities. Since it’s such a major undertaking, our area only puts this on every 4 years, and I raised my hand HIGH to participate, knowing our 14 year old would have the opportunity to go. Actually, just because I wanted to go, doesn’t necessarily mean I could go. I mentioned to those planning that I was interested in going, and that my husband and I would love to be a “ma and pa” to a family of youth, but it is left up to inspiration for the leaders organizing the whole she-bang, of who is needed for various parts of the event. We were officially asked in October of last year, and started training meetings in November. 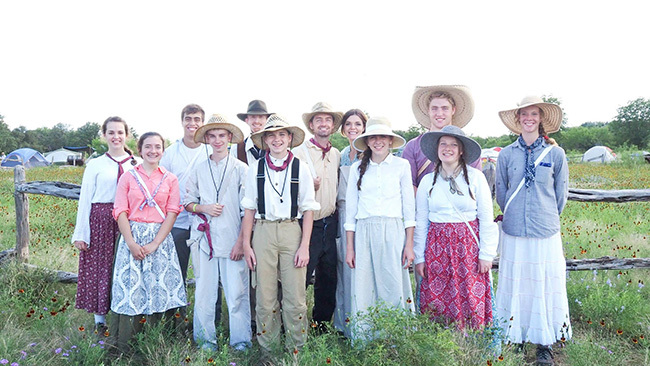 Knowing there would be about 200 youth (from the North Austin Texas area) we knew we’d be “parents” to 8-10 youth over the course of the trek. In our training meetings were about 20 other couples, fulfilling the same roles that we would, so we got to learn and grow together as we were trained in all we’d need to do. Only 2 of those couples had been on Trek before, so most of us were figuring it out as we went. Training consisted of practicing cooking in dutch ovens, first aid awareness, spiritual preparation, and supply discussions. We talked A LOT about bug prevention, and the importance to make sure all the youth DRINK WATER! They had several kids drop out last time, due to dehydration (girls not drinking water because they didn’t want to pee in the bushes), so they shared the solution of “pop-up potties” that would further encouraging water consumption. Let me also add to those not of my faith, that our congregations (wards) are assembled by where we live. In MY ward, there were 4 adult couples headed to Trek as “Ma and Pa.” They were part of the 20 ish couples in our training meetings. I would say I was friendly with them, but I hadn’t had a lot of interaction with 2 of them previous to this event. I don’t remember when it started, but at least a month before our trek, we started a text exchange that just kept going…and going…and going… as we hashed out details about what to bring, what to buy, what to borrow, how to spray our clothes for bugs, and this, that, and the other. There were some hilarious moments as we all feared certain things (Aunt Flo), and laughter at the idea of us SIGNING UP FOR this wilderness camping adventure with no showers (only baby wipes) to clean us down at night. I grew to really love them as we were forging this journey together. Over and over in our training, the most important point emphasized was to LOVE the kids. These youth would be coming from all different backgrounds, and would be coming for the main purpose to strengthen their spirituality. Some would be smiling masking sadness, while others would have gruffness, but really soft on the inside, we’d just need to facilitate in peeling back the layers. It got me excited over and over for the opportunity to just love on the kids that would be placed in my family. I don’t have a hard time loving–especially teenagers (they are kind-of my favorite). Plus, I’m pretty much still a teenager in my heart. We were originally told that we’d know who was in our families a few weeks in advance, but as people added and dropped out last minute, we didn’t’ find out until we all arrived at base camp the morning of the trek. In the days leading up to it, I tossed and turned at night because I wanted to know SO BAD who would be my “children” and was just excited to meet them. I already had love for them in my heart, knowing we’d have this adventure together. At first we were told that our own children would not be in our families, and I was completely fine with that. I liked the idea of us sharing the adventure, but allowing Tyler to still have his own experience. Then about half way through our training, they actually gave us the option to have them in our family if we wanted. I was then paralyzed! I totally wanted him with us! But…my husband quickly reminded me that it’s not about me, it’s about him, and that he would have more growth, and stretch himself more, not riding on our coat-tails. One of the great experiences about the whole adventure for the kids, is the opportunity to learn from other adults, since we all know it takes a village to raise a child. He’s heard enough from us, and needed the influence of other adults. I knew that we’d have 4 families to 1 company (with 5 companies total), so I requested that he be in our company, so we’d have a bit more interaction. Lucky for me, his family was RIGHT behind our family on the trail, so I got to spy on him see him quite a bit, while not putting my nose too much in his business. Ok, I did interfere here and there, but I really tried not to mettle, and let his “ma” take care of him. I was really happy that he was placed with a couple that I already admired and respected, but he didn’t know at all. I was hopeful that my quiet boy would make friendships with other kids that would benefit him as he heads into high school. I’ve heard it’s done different wherever you live, the preparations for trek, but we had a long list of equipment and kitchen supplies that we needed to round up. 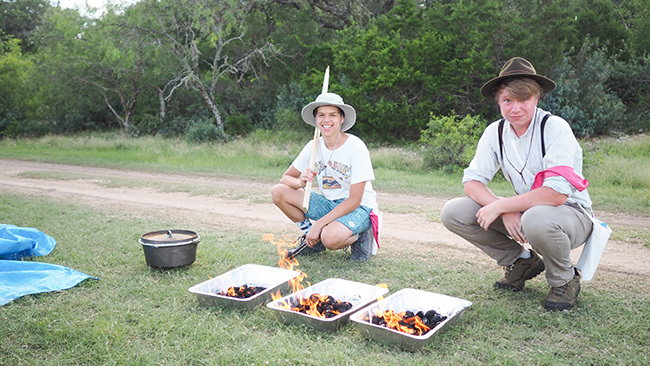 We would cook breakfast and dinner over dutch ovens, while sack lunches were provided for us to put in water coolers and eat on the trail. We spent much more $$$ ourselves that we thoughts, but were blessed to borrow a lot from those in our church congregation that were not going. 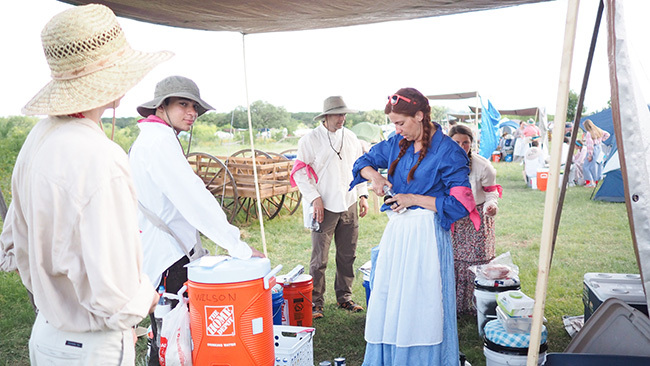 We needed 3 large tents, 2 dutch ovens, 2–5 gallon water coolers, 1 ice chest, single burner propane burner, bowls, kitchen knives, utensils, whisk, foil, spices, etc. etc. etc. Luckily, we set up our tents in our yard before we went out, to make sure we had everything. One of the tents (the one we would sleep in) didn’t have the rain fly on it, so we had to get in touch with the family who we borrowed if from (who happened to be in the middle of moving mania) and track it down. Fortunately, they found it. Remember that point for later, it’s important! 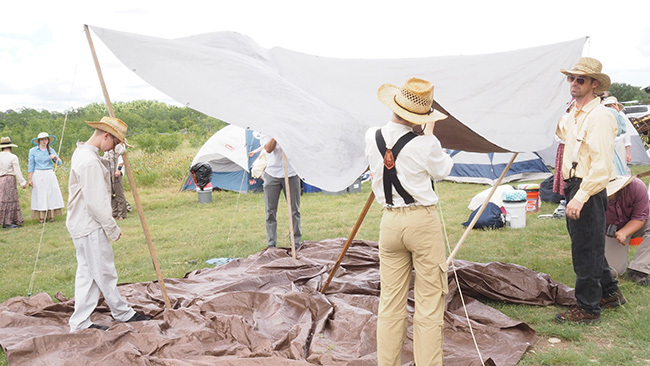 We learned to set up our shade tarps efficiently, as we had to do it over and over throughout the trek. We were told ahead of time, that if we treated our clothing and tents with a this spray, that it would highly reduce the bug bites. I sprayed all of our clothes and tents out on our lawn, a week in advance. I did find, that it helped quite a bit! 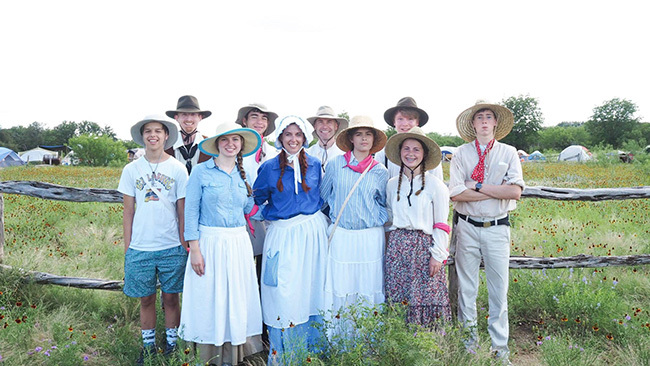 Speaking of clothes, we were asked to wear as authentic as possible pioneer clothing. I found the cutest little etsy shop a few months in advance, and had 2 custom made outfits for myself, as I wanted to be as semi-cute as possible. With all the months of prep and money spent and supplies gathered, in the days before trek was to begin, there were thunderstorms and even a tropical storm warning in the area. Everyone was concerned about lightning and safety, since we’d be out in open wilderness. In a meeting 2 night before with all of the adults that had planned and prepped, we were told that if it was deemed un-safe, they would not hesitate to cancel. My heart dropped….NOOOO! I prayed and prayed that they would not need to cancel, the idea made me so sad. 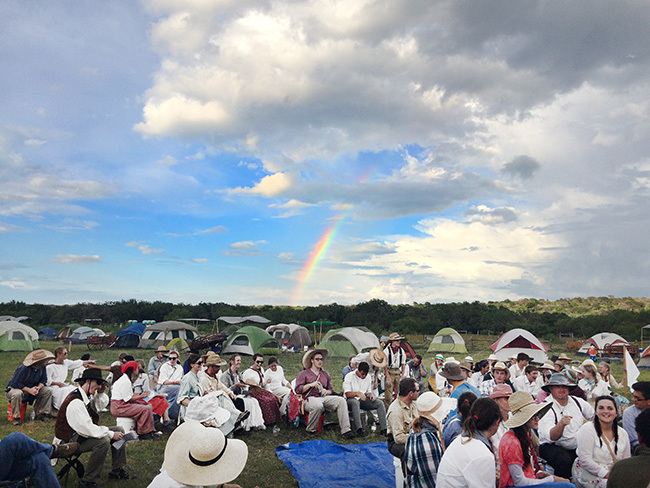 Surely, this event had the blessing of our Father in Heaven, and He would provide a way for it to happen. The camp was 3.5 hours drive from our home, and they delayed the start 2 hours. We had plans to leave at 9am. Unfortunately, the morning we woke up, I heard a noise upstairs that paralyzed me with fear. I heard puking, and I knew it was Tyler. He wasn’t feeling 100% the day before, and I ran up to be by his side, and felt ill at the idea of him not being well enough to go. It would be a grueling trip, and to start out this way was not good. Not good at all. I offered and urgent, sincere prayer, that he would be well enough to still go. It appeared he had a migraine, because he wasn’t warm. I gave him meds at 7am, and told him to go back to sleep for an hour. I texted a handful of close friends and family and asked for prayers for my boy. I don’t ever do that, but I needed strength in numbers. I took my 3 younger kids to my friend Shelley’s house. She kindly watched them for the days were were gone. Both my kids and theirs were excited about that. SO grateful for good friends. I was a bit extra worried about them, because I knew she wouldn’t be able to get in touch with me for anything other than an extreme emergency, and even then, she’d have to call a random number at a ranch, I’d have to be radio-ed in, and just the “if’s” in my head, they were playing tricks on me. I gave her all the info she might need, kissed my kids, hugged my friend, and left. Once home, Tyler was walking around, all dressed, but still not looking great. Upon departure, I posted a picture of him, my husband, and I on instagram as our pre-trek pic, and asked for prayers for my boys. I needed all the help I could get. I figured we had a 3 hour drive, he could sleep more, and I could pray more. I was grateful that because of the delayed start, we actually would not be pushing handcarts that day, just staying at base camp. I knew where were a few RV’s for medical that would have AC, should he need to rest more. In my mind, staying behind was not an option. I had faith that he would be well enough to go, and felt good about that. On our drive, the text exchange with my fellow “ma’s” kept alive, as we all laughed at what lay ahead. We all live in the same neighborhood, all had a car full of supplies, and kids in our cars, but were generally on the same driving schedule. I was in my pioneer clothes, and about half way, ran into a grocery store to get a different medicine for my boy. 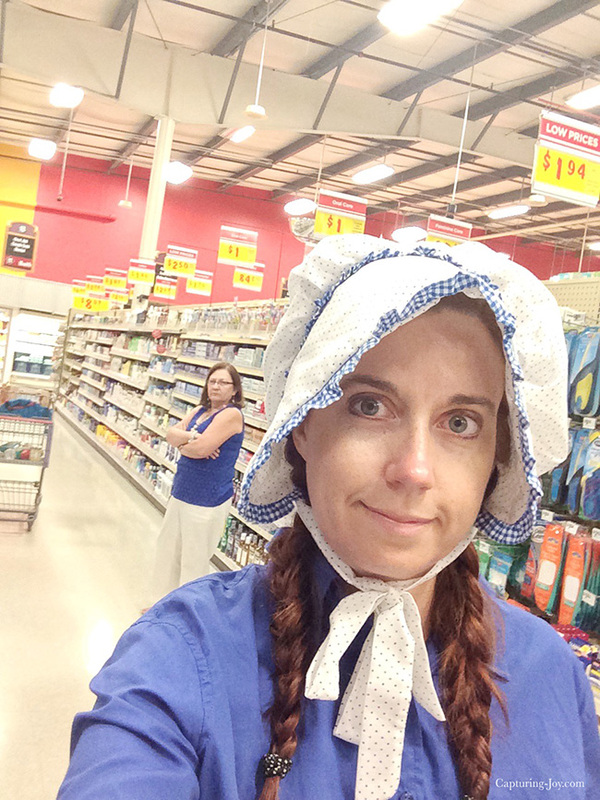 My friend Heather said her daughter saw a lady in pioneer clothes walk into the store, and they got a good laugh. Yes, indeed, I did that, and got a funny selfie to boot. For anyone who really wants to look up where we trekked, it was at The Y.O. Ranch, and hour North West of San Antonio.It’s thousands of acres of hunting land, but also has an exotic park and wildlife section, and at the end of our trek, way off in the distance, we saw 2 giraffe’s. We were really what felt like the middle of nowhere, lots of trees, random open fields, and a road going through the middle that we walked along. We saw lots of longhorns on the drive in, but not really any as we walked. We were asked to walk in behalf of an ancestor that crossed the country, or someone who was a pioneer in a different way. I dedicated my journey to my ancestor, Rebecca Burdick Winters, who in 1852 nursed many back to health on her trek towards religious freedom, but at age 50, died from cholera before her journey was through. She was so revered that her grave was one of the very few marked (with an engraved wagon wheel) and left untouched even through constructing the railroad years later. 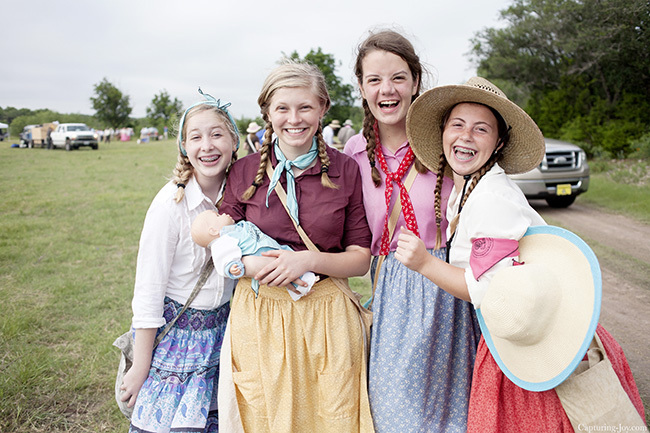 Grateful for my pioneer ancestry, and for the freedom to worship as I may. We arrived! My son didn’t look great, but better. The meds helped the headache, and I was hopeful it would continue to get better. My prayer was that he’d still be able to go, and he was there. My continued prayer was that he’d be able to stay and keep feeling better. 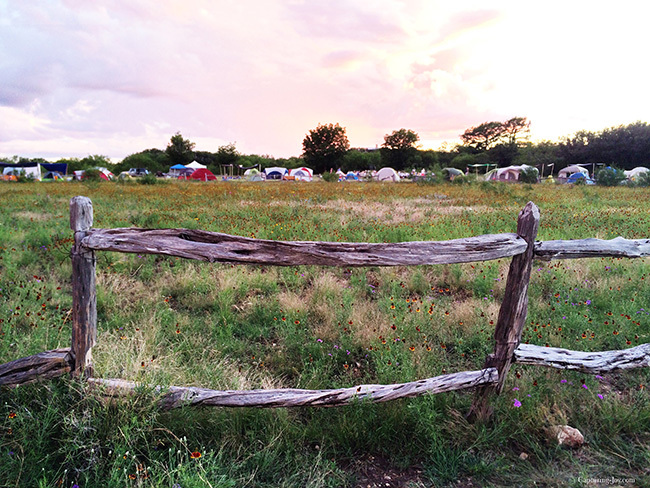 I heard that the cell phone range was non existent at the ranch, and sure enough, it happened….I went dark. Upon driving in, we were sent to a spot to unload our stuff, and park our car in the distance. 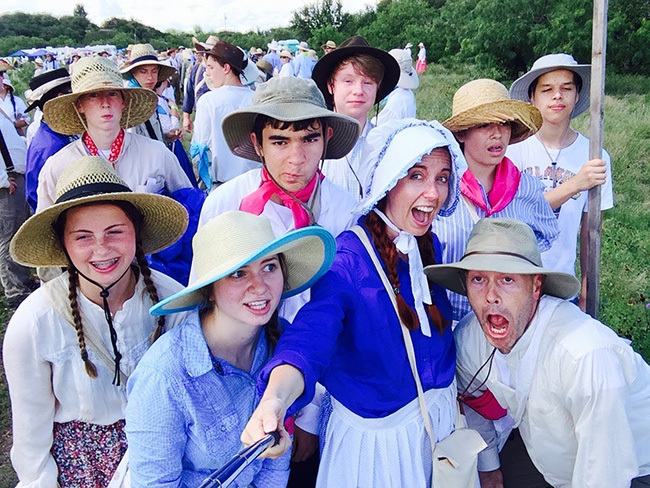 We had a handcart waiting for us, but there was quite a bit of mayhem. 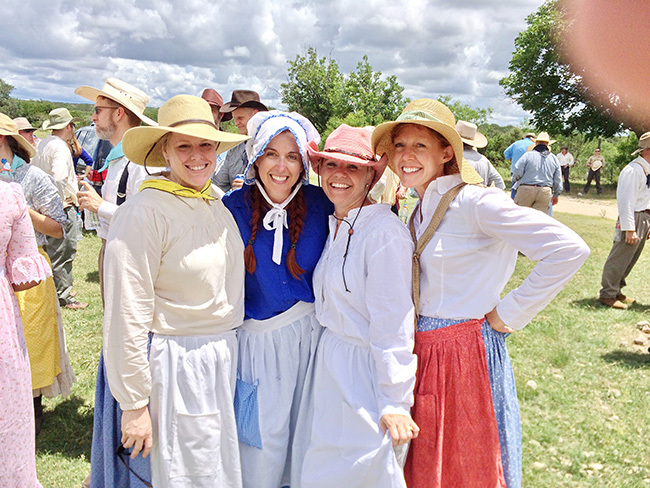 We greeted friends and complemented each other on our pioneer garb, and frantically tried to figure out exactly what we should be doing. I immediately checked us in, and got “the list” I’d been waiting for. 10 children assigned to me, and from 12 years of living in the area, I was delighted that I actually knew 6 out of the 10 kids (at least their families). We started setting up our tents as we introduced ourselves to each other. We then headed off to a rotation of games and activities. I was so excited, that penned right on the schedule was FAMILY PICTURES! Here is our cute little family (minus one gal who came the next day). We hardly knew each other here, but we knew we were about to love each other pretty good! 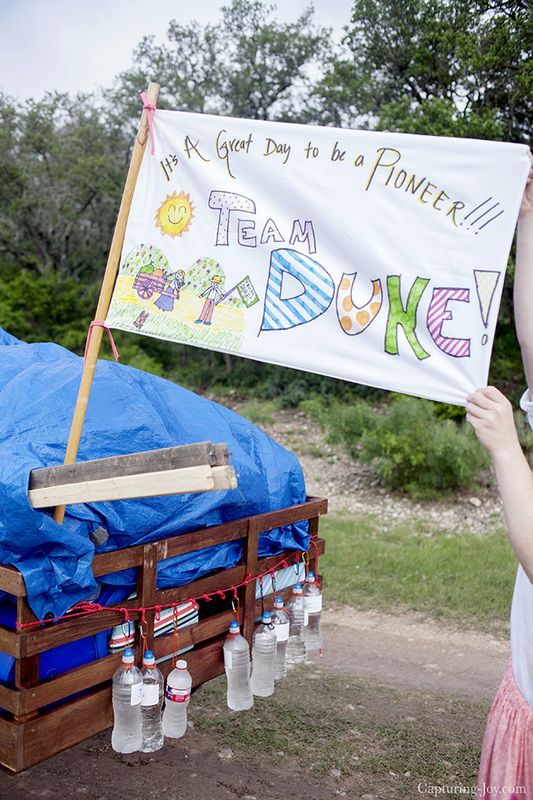 We made up our family cheer which was: It’s a great day to be a pioneer–TEAM DUKE! 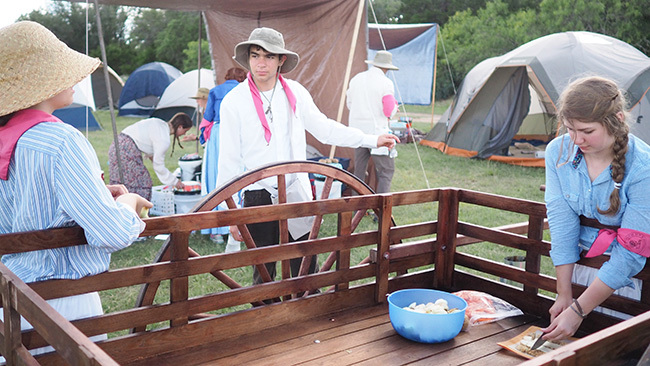 This was the flag we made that hung from our handcart. My talented “daughters” Kayla and Rose created that cute-ness. That first day was gorgeous. We had a light rainstorm that lasted 5-10 minutes, but then the sun came back out, and it got quite warm! It is Texas in June, after all, but we were so lucky that the rains in the days before left the temperature at around mid 80’s, but it was still pretty humid. Prepping the coals had to be done each night, then the dutch ovens went on top. We cut potatoes in the back of the wagon, and just used what we could, no countertops here! We met with all of the families for an evening fireside. The sun was in our eyes, but slowly fell behind the tree’s, and someone pointed out that behind us was a rainbow. I grabbed this picture from someone else, but I love it! I’m going to post the others throughout the day today, so watch for them!